We create top quality ecommerce solutions, with a complete set of services around Magento platform - UI design, custom development, online marketing, support and consulting to ensure your business growth. We are proud to be Professional Magento Solutions Partner. This shows our clear focus on providing Magento solutions and maintaining a high level of competency that ensures successful Magento implementations. We currently have 28 of our developers officially accredited as Magento Certified Developers and the total 22 Magento Certified Solution Specialists on board. Additionally, 26 of our employees are Magento 2 Trained. With a team of very talented designers, developers and ecommerce consultants who are recognized and certified Magento professionals, we offer a full range of ecommerce services. We have extensive experience in architectural planning, delivering and optimizing Magento online storefronts of various sizes and complexities for clients operating in markets across the globe, you will be in safe hands. Is your Magento site slow? How will an upgrade affect your installation? Is your site built to grow and scale? Do you have any concerns about the stability of your ecommerce business? You don’t miss out on taking your car to the service center for a regular check-up, do you? Your website needs to be maintained in a similar fashion. No matter how good your Magento solution provider is, after some time it’s advised to get feedback from a fresh pair of eyes. With our eCommerce technical assessment, we will examine your online store and identify known and potential technical issues that need to be fixed to help you grow and scale the business without any obstacles. Have you seen a drop in your traffic? Have you been hit with Panda or Penguin updates? Want to adopt the best practices of using Universal Analytics for your ecommerce business? Search Engine Optimization (SEO) is process of making your website an authority for certain keywords on the web, so that search engines like Google rank you higher than your competition. With our Magento eCommerce SEO audit you'll get personalized SEO insights into your Magento store with best practices and methods to increase your traffic and generate more sales. Web usability ensures that everything on your online store is easy to find, read and use and has the greatest impact on conversion rates. If users aren’t able to complete their tasks easily they will leave. eCommerce audit compares your online store against usability best practices with the main goal of improving your website’s functionality. 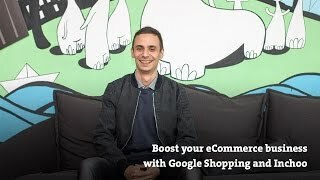 You will get insight into how to accomplish consistency and how to elevate the general look of the website to another level which may lead to increased conversions and reduced bounce rates. Current progress of Inchoo's demo of Magento 2 PWA solution, based on PWA Studio. How we help our clients streamline their online marketing efforts and make the most of their advertising channels. 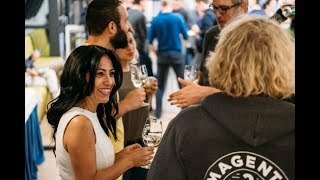 Recap of Meet Magento Croatia that took place in Osijek, Croatia in late September 2018. A quick tour around Inchoo new office. Founded in May 2008 in Osijek, Croatia, Inchoo specializes in developing eCommerce solutions using Magento as a platform.